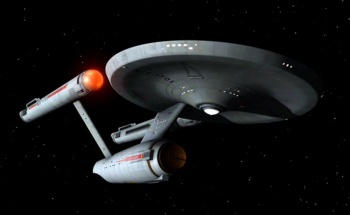 Which one of these classic star-travelling space ships best matches your personality? Attention on deck! We here at The Escapist are fans of spaceships of all kinds, from Star Trek to Star Wars and everything in between. So we've put together a quiz of some of the most famous starships around for you to see which one best matches your personality! Do you want something fast and sleek like the SSV Normandy? Eager to explore the galaxy like the USS Enterprise? Or maybe you're looking for a fight, like the Battlestar Galactica! Take the quiz and find out!